Concessions are benefits or value-added services that venues offer in exchange for the event host’s business and fulfilment of their contractual requirements. For event hosts, it feels great to negotiate potentially lucrative concessions as part of an event contract. Complimentary staff rooms, free wifi, discount parking — the variety of options is staggering, and they can can save an event host money and add value to their event. But before signing on the dotted line, event hosts need to know exactly when they’ve earned those concessions, and just as critically, when the venue has the right to take them away. If the venue has presented a contract that does not require the event host to pay damages when they don’t meet minimum revenue targets, it is appropriate for the venue to have the right to revoke their offer of concessions. From a business perspective, it’s only reasonable that event hosts need to meet established performance measures to unlock them. Concessions have real monetary value, and if the event host has not fulfilled their obligations, those costs should not necessarily be borne by the venue. 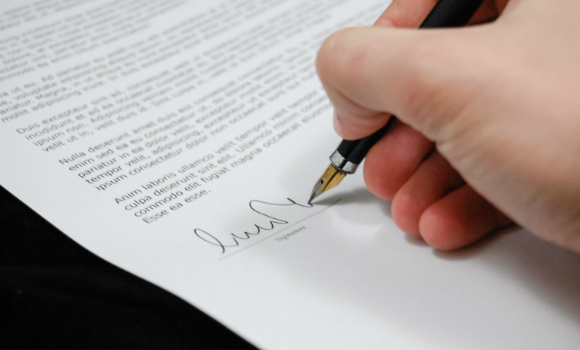 When the venue has chosen to include an attrition clause in the contract, however, it is an entirely different situation. Earned concessions are protected by the event host by making the venue “whole,” so what does making the venue whole mean? In financial terms, making a venue whole is the payment of attrition. If the event host underperforms in one or more revenue categories, like guest rooms, food and beverage or meeting space, they’re often on the hook for attrition damages, which typically amounts to the financial difference between the minimum revenue target agreed upon in the venue contract and the actual revenue collected by the hotel. For example, if the venue expected at least $100,000 in revenue but only received $75,000, it’s up to the event host to pay the $25,000 difference. In the unfortunate situation of underperforming, and if the event host has paid attrition damages to the venue, the agreed-upon concessions should no longer be subject to additional conditions. After all, from a revenue standpoint, the venue has made its money. The venue’s act of offering, then denying, concessions and expecting the event host to pay attrition damages as well is principally wrong. Not that that will stop venues from trying. In my experience of reviewing contracts for clients, I know that venues’ contracts are curated to maximize their revenues and minimize their costs, and will often include conditions on their concessions and include attrition language, so event planners beware. It is only when the event host knows the connection between concessions and making the venue whole that the event host is able to negotiate fair concessions language and terms. And if they’re going to negotiate well, it’s imperative that event hosts know when their concessions can be revoked and when they are earned! With more than $8.25 million tracked in actual savings and avoided risks, Planner Protect Inc. is a first-of-its-kind Canadian event contract review agency. Heather Reid, Founder and CEO of Planner Protect Inc., draws on her 25+ years as an independent event planner to support event hosts and event industry professionals in negotiating balanced contracts. Planner Protect’s education opportunities, consulting services and on-stage presentations help Canadian and international event hosts protect their finances, their reputations and quite literally – their events! This entry was posted in Event Budgeting, Event Operations and tagged Attrition, concessions, earned concessions, event planning, hotel.